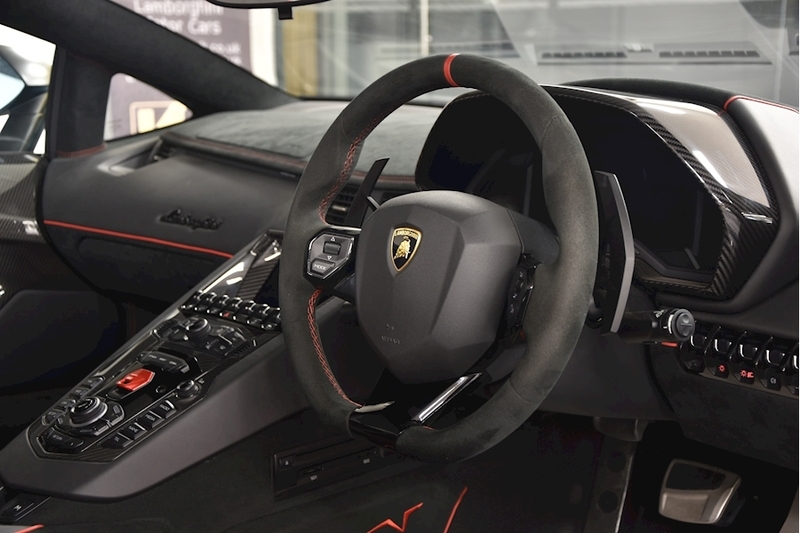 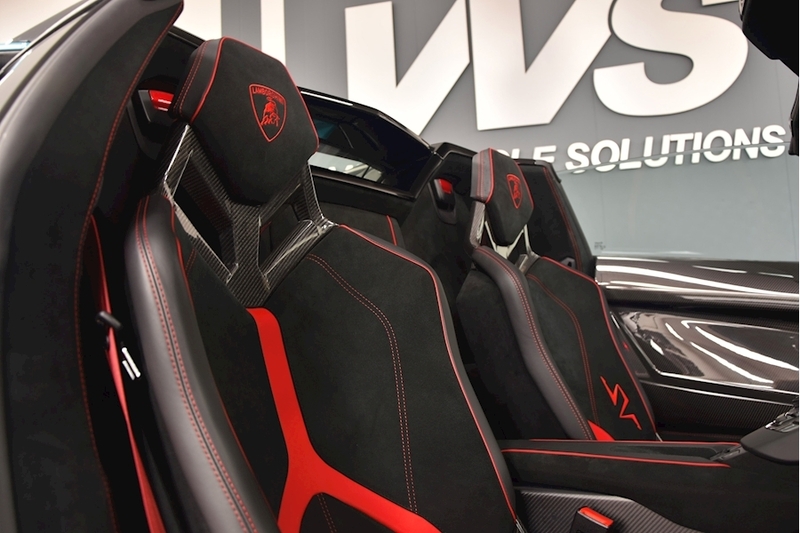 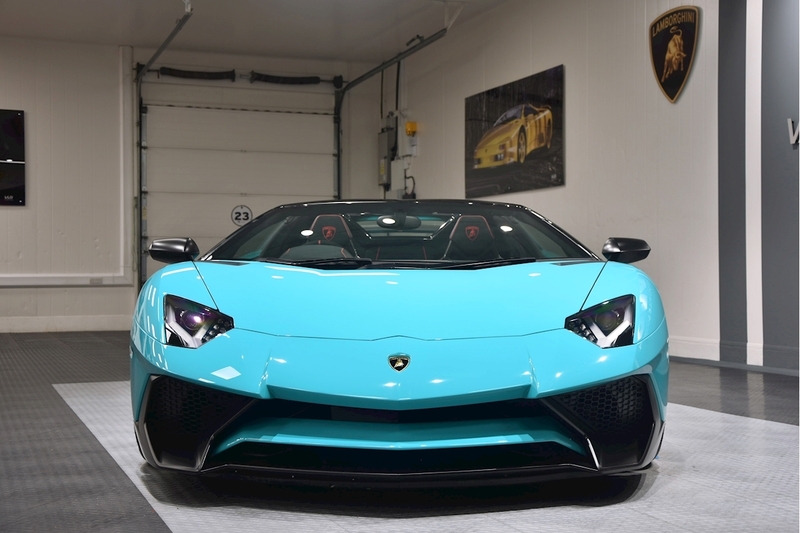 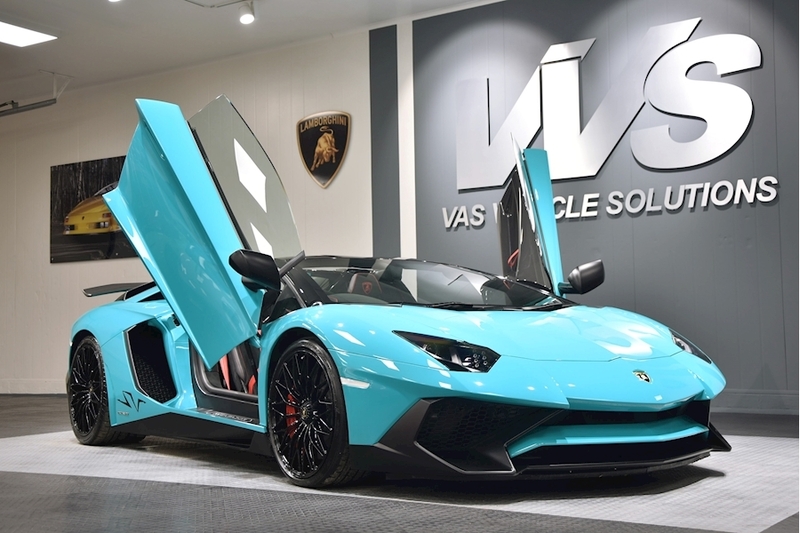 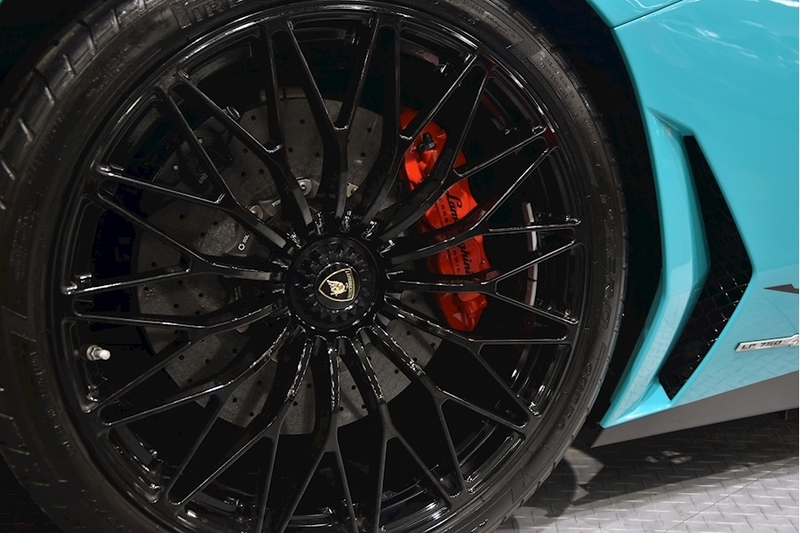 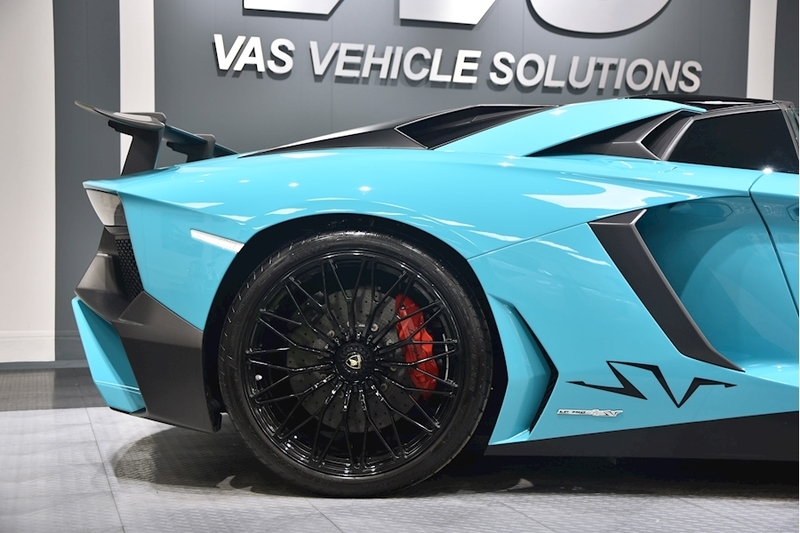 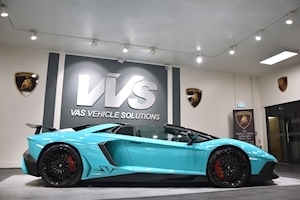 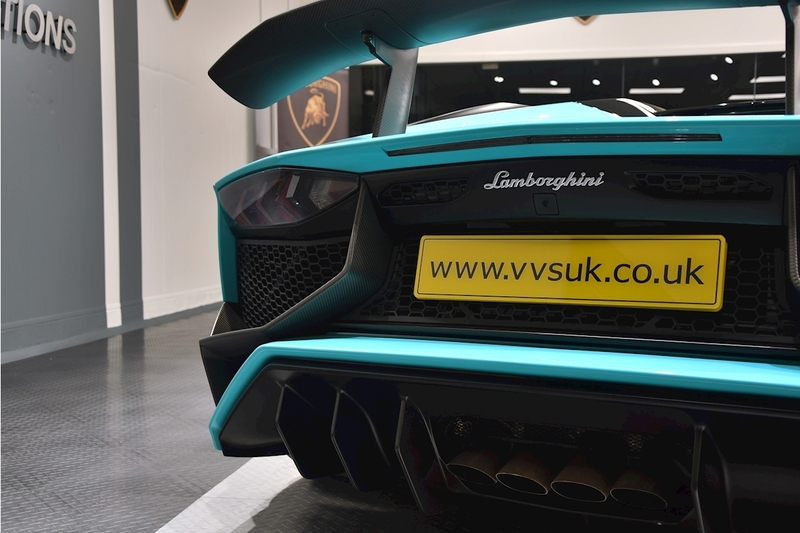 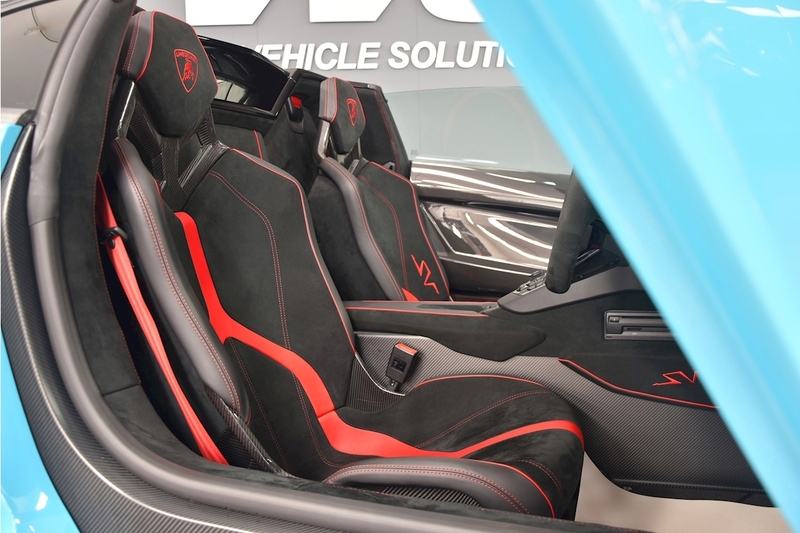 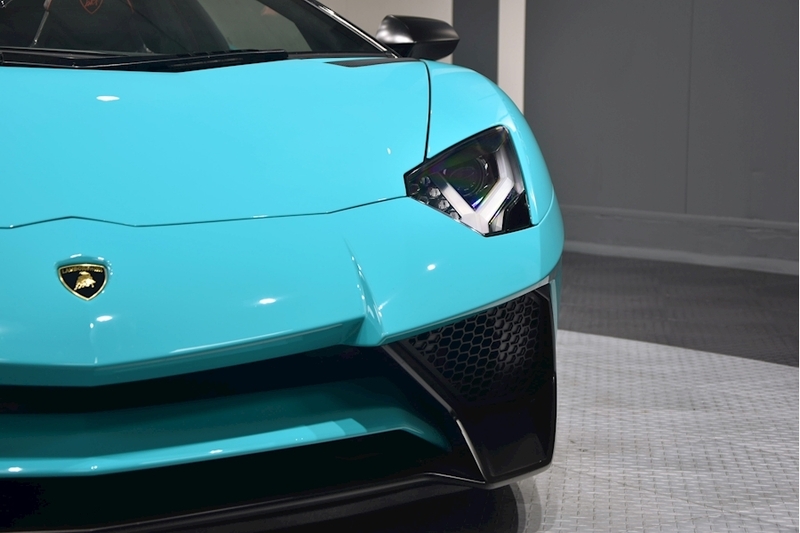 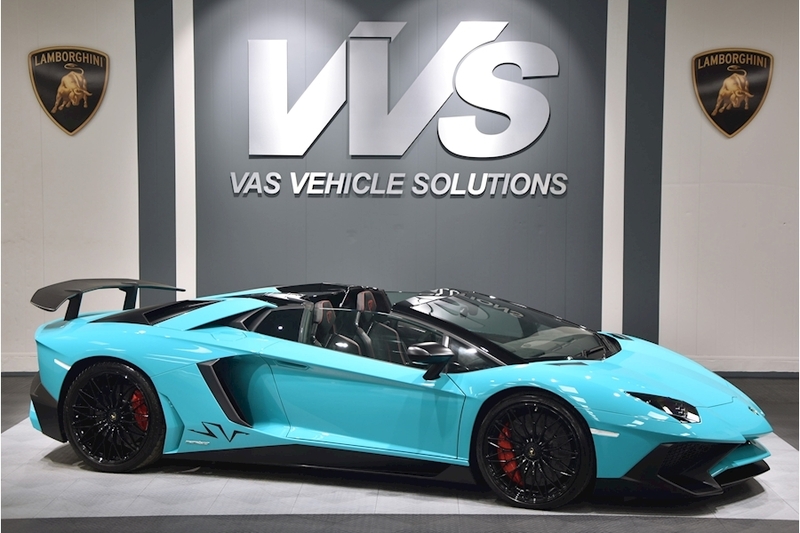 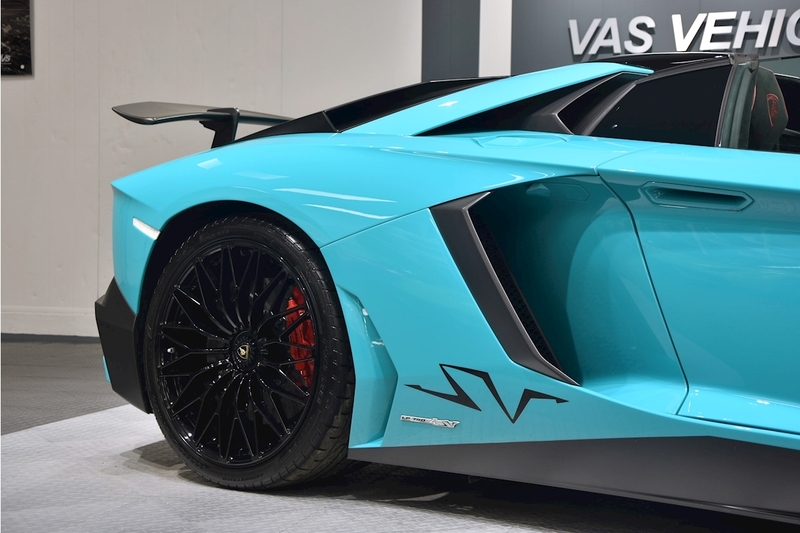 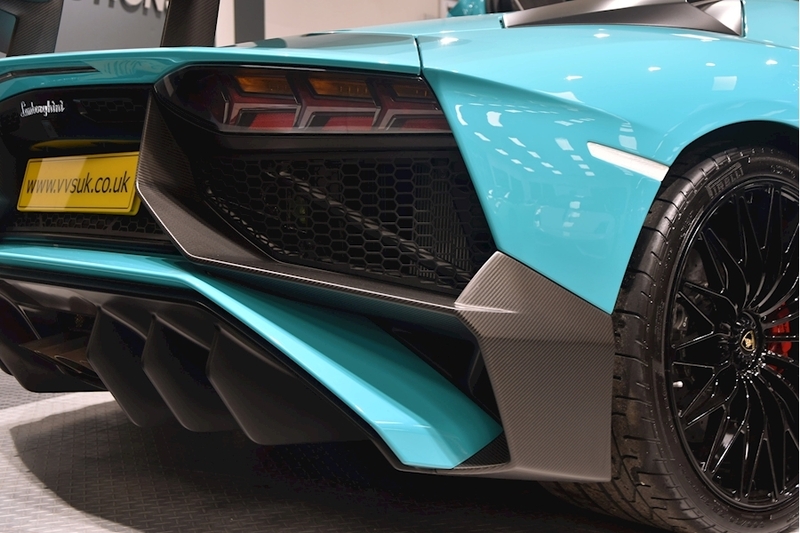 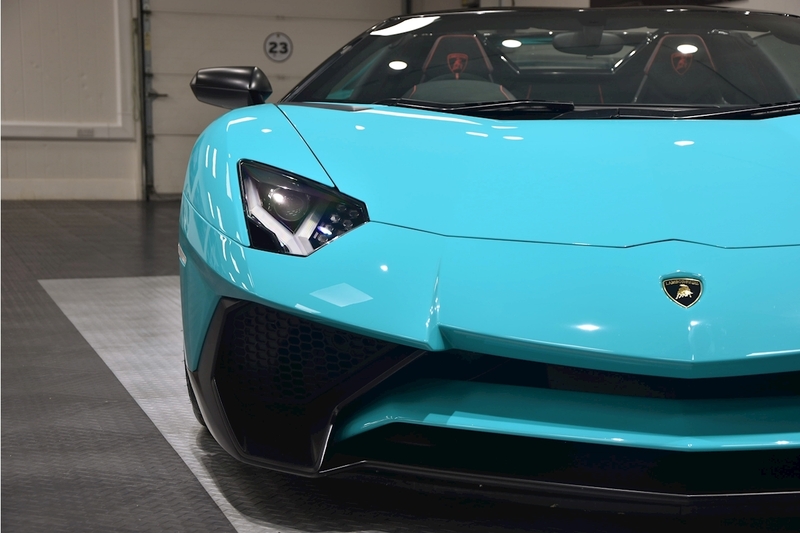 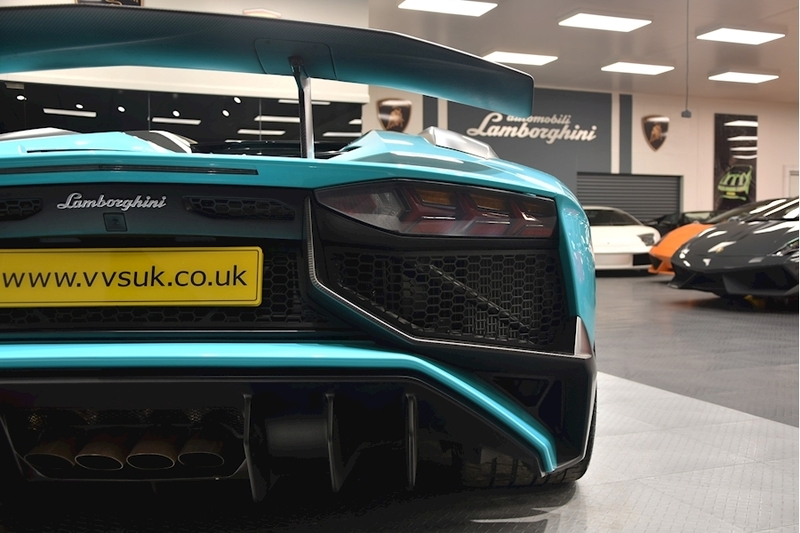 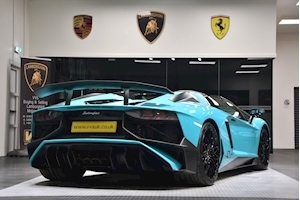 VVS are delighted to offer this 2016 Lamborghini Aventador LP750-4 SV Roadster. Presented in this unique colour combination of Ad personam Blue Glauco over nero with contrasting rosso alala stitch. 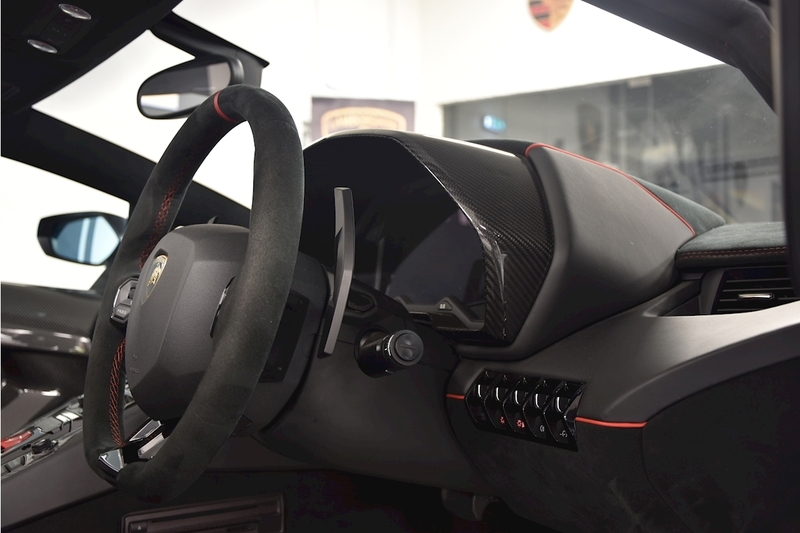 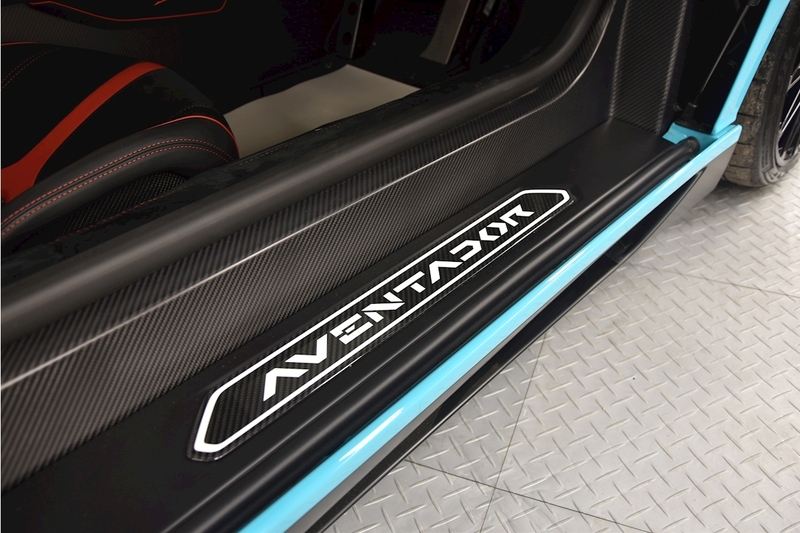 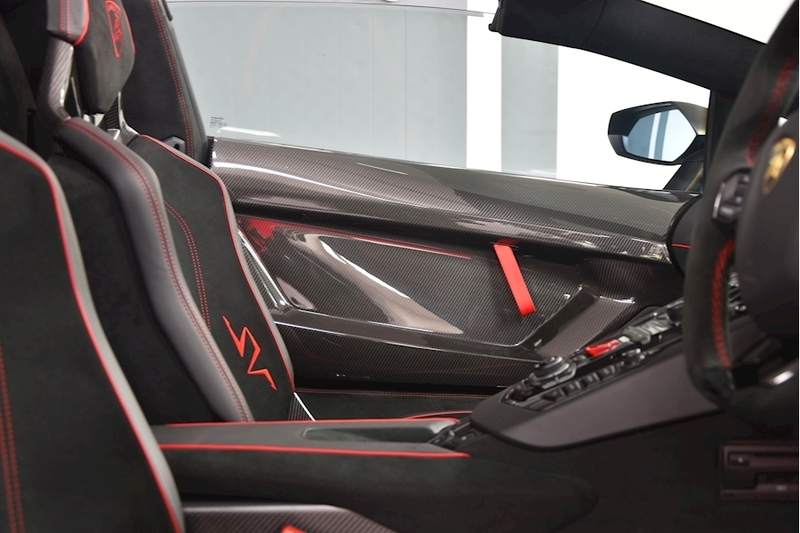 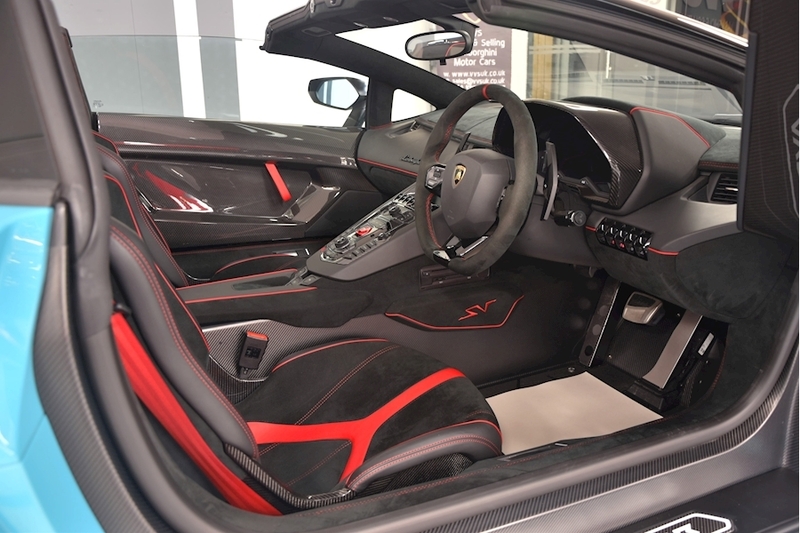 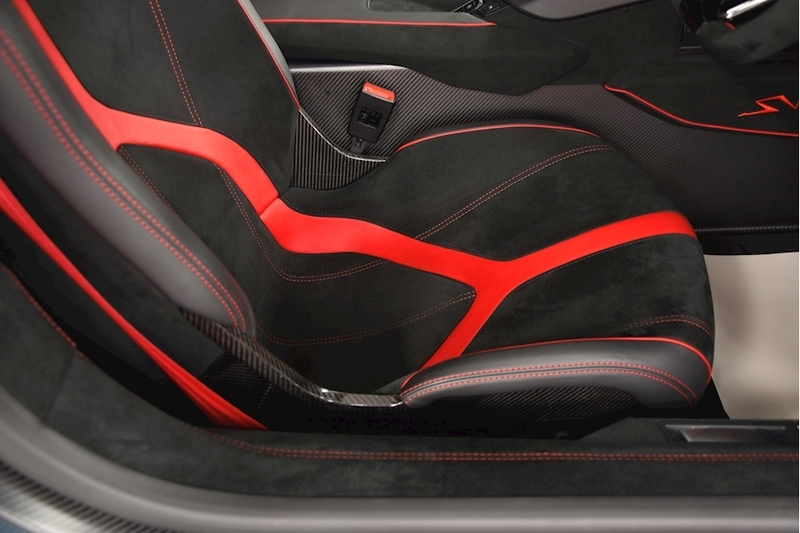 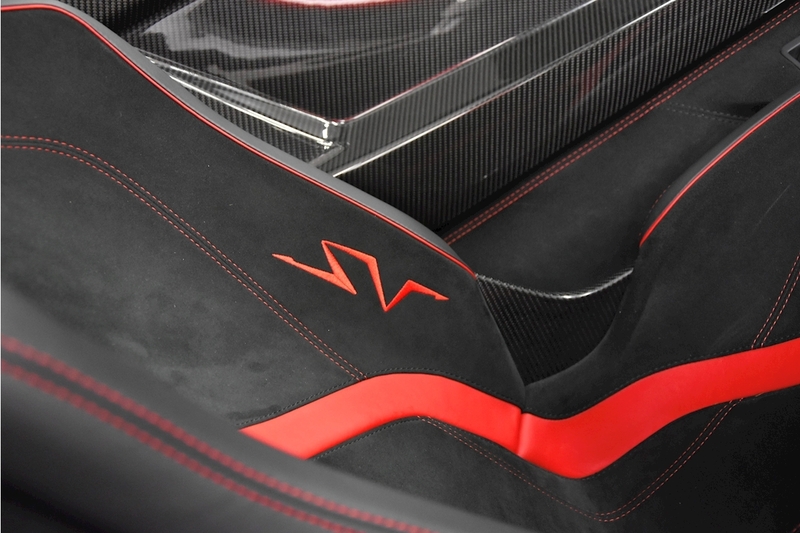 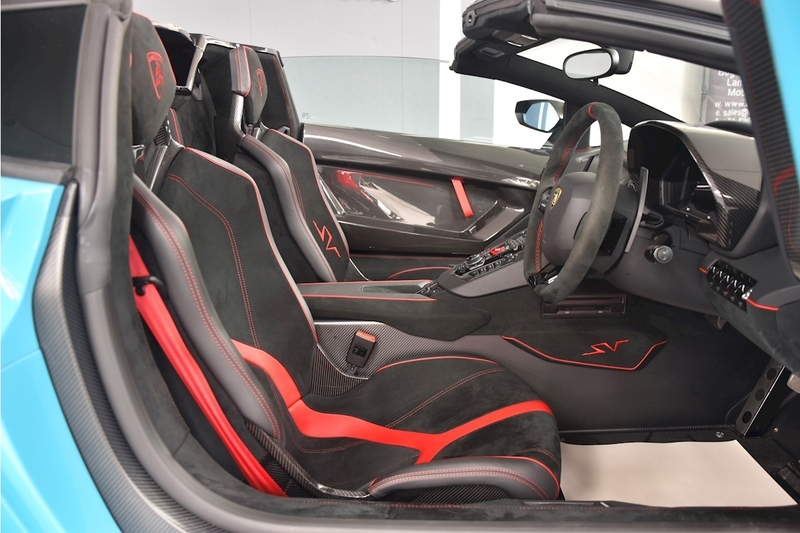 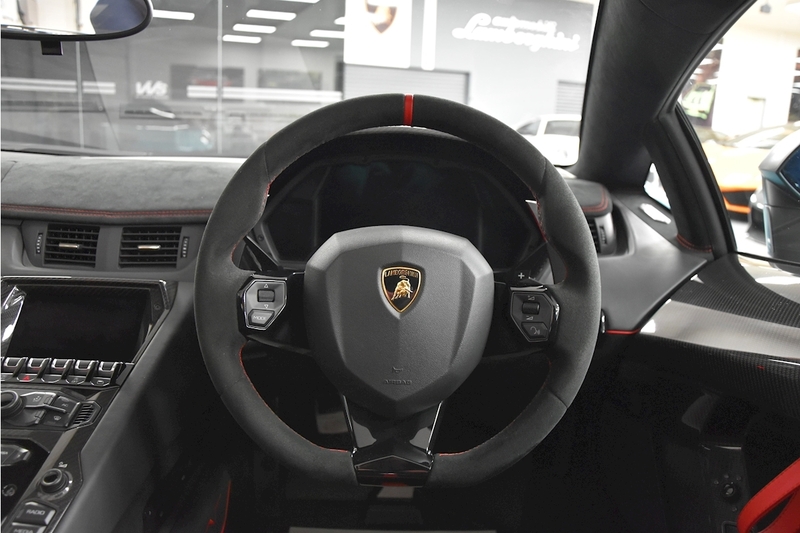 This is a full specification car including Ad personam red seatbelts, 20/21" Dianthus forged high gloss black alloy wheels, rear view camera, small SV logo option , LIS with navigation system and DAB radio, steering wheel in alcantara, branding package with alcantara, travel package, magneto-rheological suspension with lifting system, carbon fibre engine T piece, carbon fibre X frame, factory fire extinguisher and sports exhaust software upgrade. 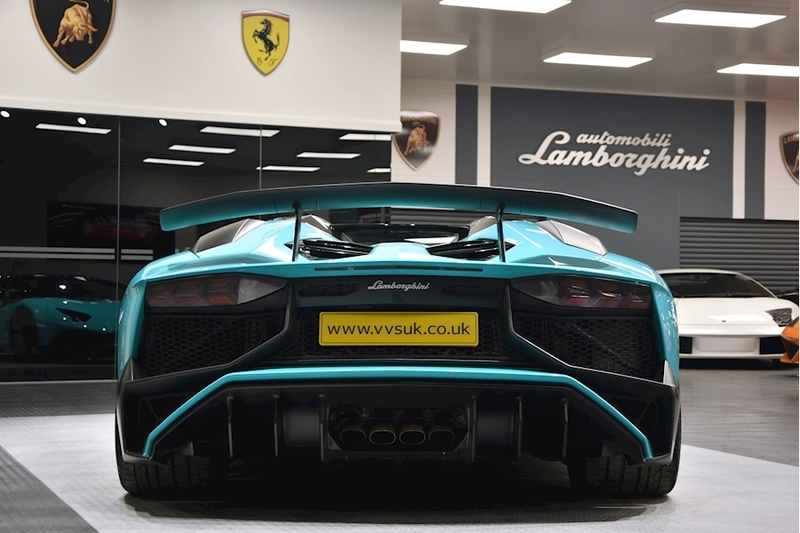 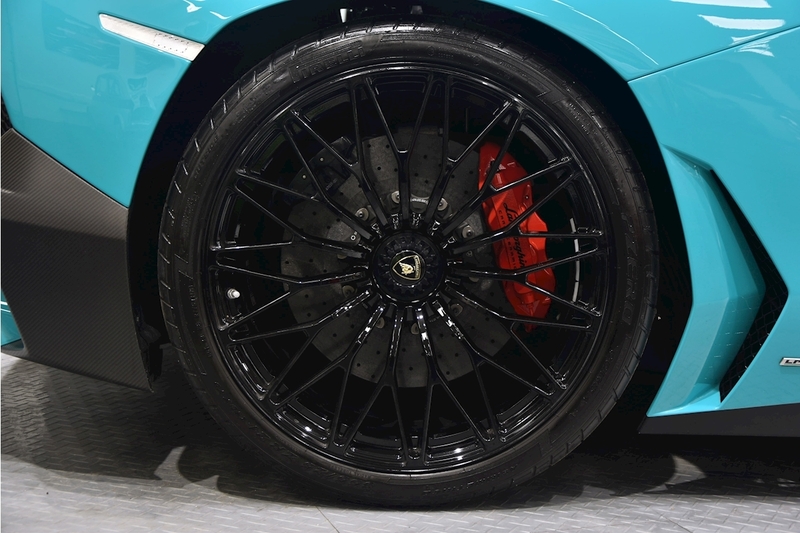 This 1 owner vehicle also benefits from full PPF coverage and a full Lamborghini service history having just been service by Lamborghini.